Back in 2012, I designed a map of the United States showing the most famous brand for each state. 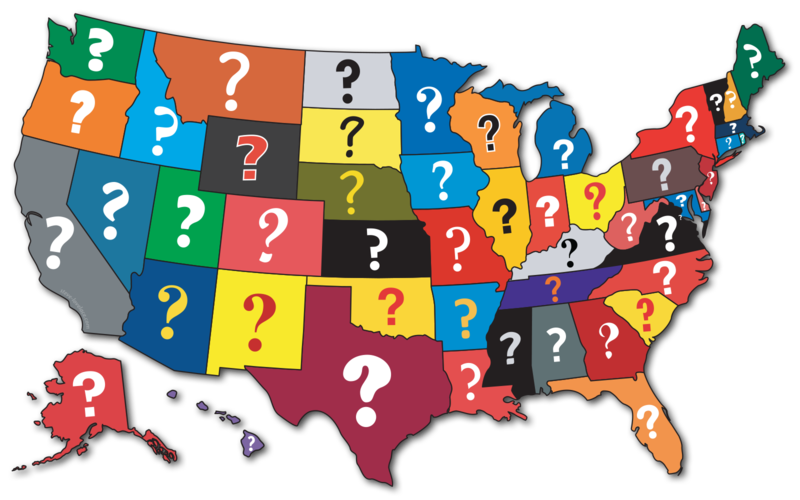 Last year, “The Corporate States of America” was picked up by BuzzFeed, Huffington Post on other viral internet sites. Since then, I’ve had a lot of comments, both positive and negative, about what brand best represents each state. Now I have taken your feedback into consideration for my upcoming brand map, “The Corporate States of America 2015”. Are home to very few companies, like Wyoming. With the more populous states, the hard part is choosing which of the many brands best represent the state, whereas with the less populous states, it’s hard to find even one good representative brand. The 2015 map has all new brands, so I couldn’t “recycle” any of my choices. I hope to have something for you soon. In the mean time, is there anything you’d like to see on the version 2.0 brand map? If so, let me know in the comment section. Dunkies (Dunkin’ Donuts) represents Massachusetts so much better than Gillette. Maybe Dunks on the 2014 map?? The first DD was in Quincy Massachusetts and the Company is currently headquartered in Canton MA. Love the Map! What do you think about this map of the world pieceofmyworld.com? New Jersey would be best represented by a Pharmaceutical company like Merck & Co. (don’t mix the symbol up with the German company also called Merck).